What’s Up? 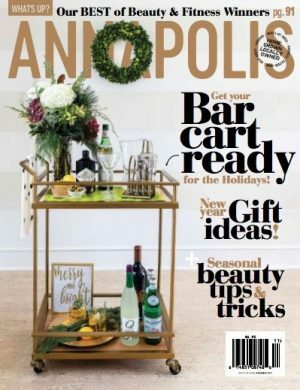 Annapolis is a monthly, glossy print publication covering entertainment, sports, home & garden, health, dining and lifestyle interests of the Chesapeake region, including Annapolis, Baltimore, and Washington, D.C. The magazine began in 1997 and the publication has become the only lifestyle magazine in the area with an extensive calendar of local events.